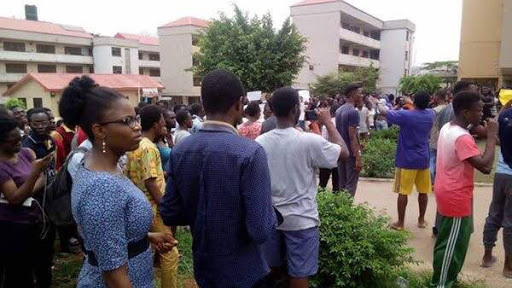 The Academic Staff Union of Universities (ASUU) yesterday decried 'the paltry’ N66million allocation for capital projects in the University of Ibadan (UI), with a student population of about 30,000. It said senators, who appropriated the amount, were paid N13.5 million each as running cost per month. The union said this could only happen where the ruling class lacked vision. UI ASUU Chairman, Dr. Deji Omole, who addressed reporters yesterday, said the failure to vote enough money for public university was causing crisis. He said: “It will be difficult to have a citizen who will love the country in future if the present trend of abandoning the poor, while taking care of the rich, is not stopped. Omole, who said the union will oppose unnecessary dues on poor students, added that the All Progressives Congress (APC)-led Federal Government had performed poorly in education. He said in the United States of America, the elite funded public universities because the country was interested in bridging the gap between the rich and the poor. The ASUU chairman said the Federal Government had paid lip-service to public education, preferring to pacify militants and terrorists. He noted that while the people are suffering, the political class has enough to spend in preparation for 2019 general election.